After doing research on Chinese aid, loans, and investment in Africa for decades, and publishing a book in November 2015 on Chinese agricultural investment (or not) in Africa (Will Africa Feed China?) I have a healthy skepticism about claims that a Chinese company (or bank) has actually made an investment (or loan). 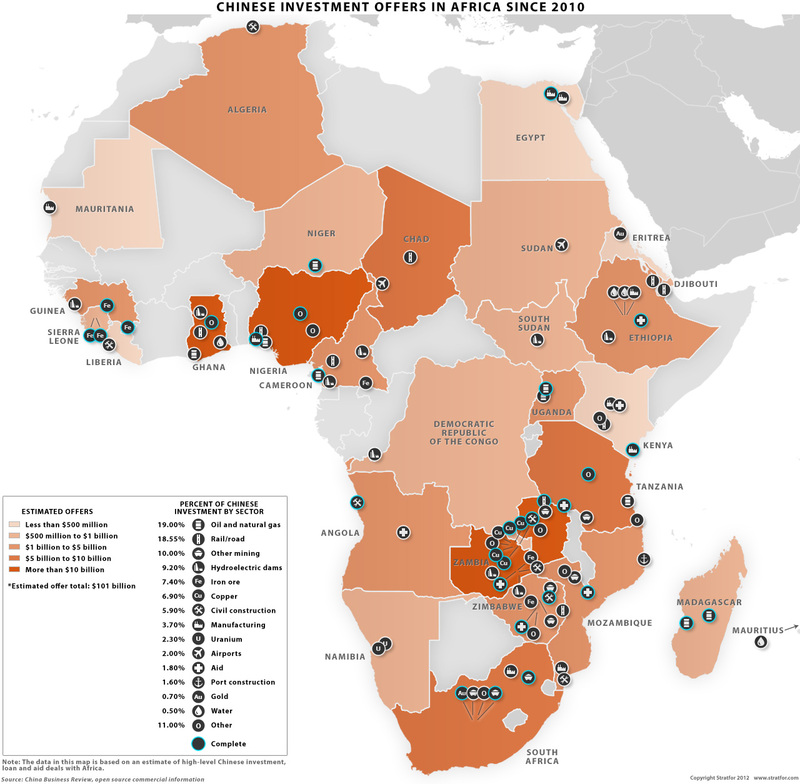 I think one of the reasons there is so much breathless reporting on the scale of what "China" or Chinese companies are doing (for example, this image) is that many reporters (and researchers) are not experienced with the challenges of investment in Africa. And they often don't know much about the details of the lifecycle of loans, mining investments, and other areas of business. Take mining for example. You might read, as I just did in a student's paper, a source that says that a Chinese company is making an $8 million (800万美元) investment in uranium in Zambia. But let's put this into perspective. Mining has a number of stages, and a long lifecycle. It can take 10 to 15 years just to get a mine into production. 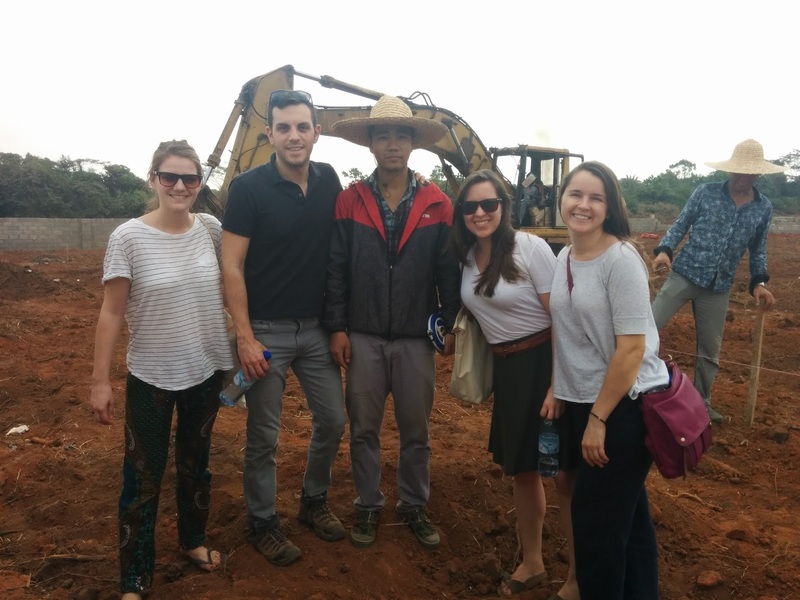 An $8 million investment can only cover some early prospecting cost or between 1 and 2 years of advanced exploration. As a Canadian website points out: "Very few discovered mineral deposits become producing mines. ... About 1 out of every 200 projects that reaches the discovery stage moves to development." Below, some helpful guidance on the stages of mining investment and why a pledge may not become a project. (1) Prospecting and Exploration. This involves mapping, surveying, sampling and normally lasts for 3 to 5 years in a given area and costs about $1.75 million per year. (2) Discovery and Advanced Exploration. Channel sampling, drilling, etc. This costs about $5 million per year and it lasts from 5 to 15 years. (3) Development and Construction. Actually building the mine, bringing in the mining machinery, and so on, takes at least 3 more years, and is the most costly stage, usually at least $1.5 billion. (4) Operation and Production. Up to this point, the mine is all cost and no benefit. Now there is some production, but many costs are still involved. (5) Reclamation. Shutting down and reclaiming a site at the end of a mining investment can take 2 to 10 years, and cost $150 million or more. These are Canadian costs in Canada (Canada is one of the top investors in African mining, quite likely larger than China). 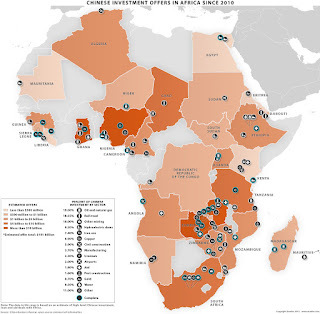 Working in difficult conditions in many African countries might lead to higher costs.